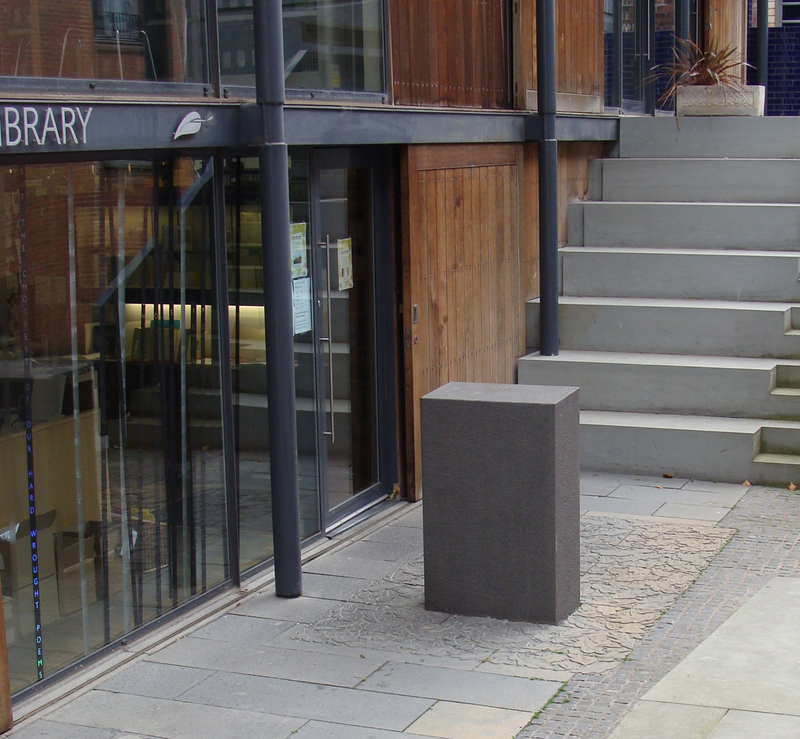 Designed in collaboration with Malcolm Fraser Architects, this piece represented a carpet of oak leaves around the lectern in the open-air performance space at the Poetry Library just off the Royal Mile in central Edinburgh. The intention was to evoke the atmosphere of a peaceful glade in an oak wood in this urban setting, while at the same time helping to define the space around the speaker. Following redevelopment at the Poetry Library, from summer 2017 the Carpet of Leaves will be relocated to The Patrick Geddes Centre at Riddle’s Court further up the Royal Mile.